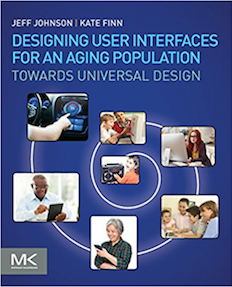 Designing User Interfaces for an Aging Population: Towards Universal Design. Rationale and guidelines for designing technology so as not to exclude the almost 40% of the population that is over 50. Conceptual Models: Core to Good Design. User interfaces are simpler and more task-focused when designers start by constructing a conceptual model of the intended application. 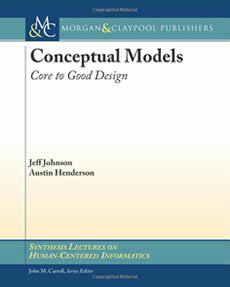 This book explains what conceptual models are, how to construct them, and why they are valuable. 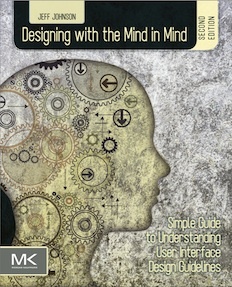 Designing with the Mind in Mind: Simple Guide to Understanding User Interface Design Guidelines (2nd ed.). An introduction to cognitive and perceptual psychology for software designers and developers. 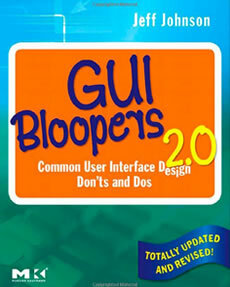 Now in its 2nd edition.